I guess when it comes to the word bags, a whole lot of thoughts would come to mind. There's roller bags, laptop bags, tote bags, handbags and even body bags doggie bags! I personally like buying different bags for different occasions but none seem to fit all the requirements because I either need them a little bigger or a little safer...you know the drill. We're never all too happy with what we have. 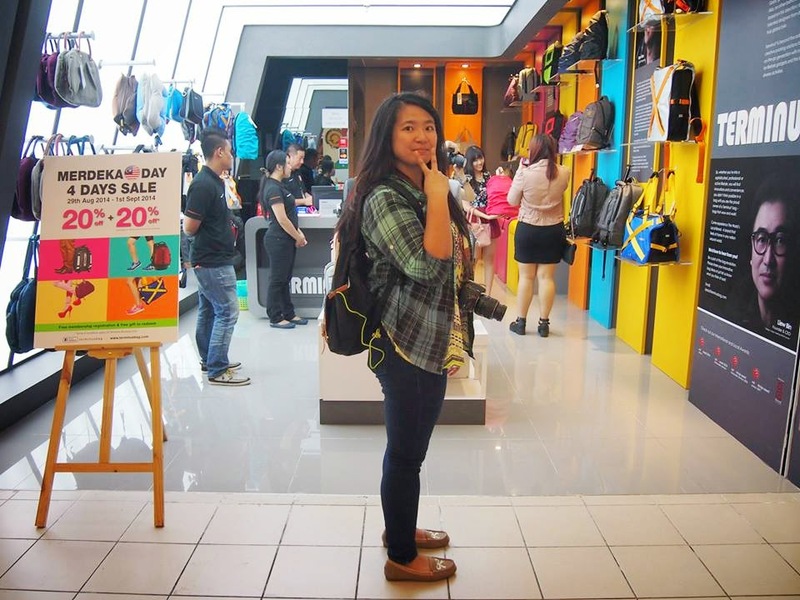 Born and bred in Malaysia, Terminus is all about function, fun, fashion, feel and form. Well hey, I'm talking about bags and not Tania in the picture above! 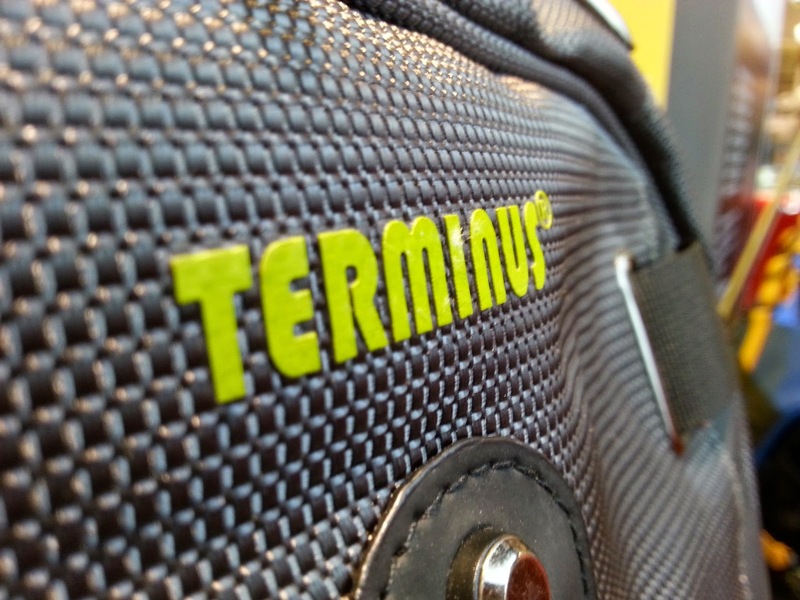 Say hello to Terminus bags! Mr.Liew Bing, CEO of Terminus explains to us the concept behind the company. Terminus bags are all well designed by local designers who comes up with greatest ideas in making your bag perfect for whatever it needs to cater to, fun to use with its multiple roles to play, fashionable in various colours, feel good when you carry them and remain in great forms so your belongings are safely guarded. Each bag is designed with care and with an idea of its own. But fashionable carries are not forgotten. 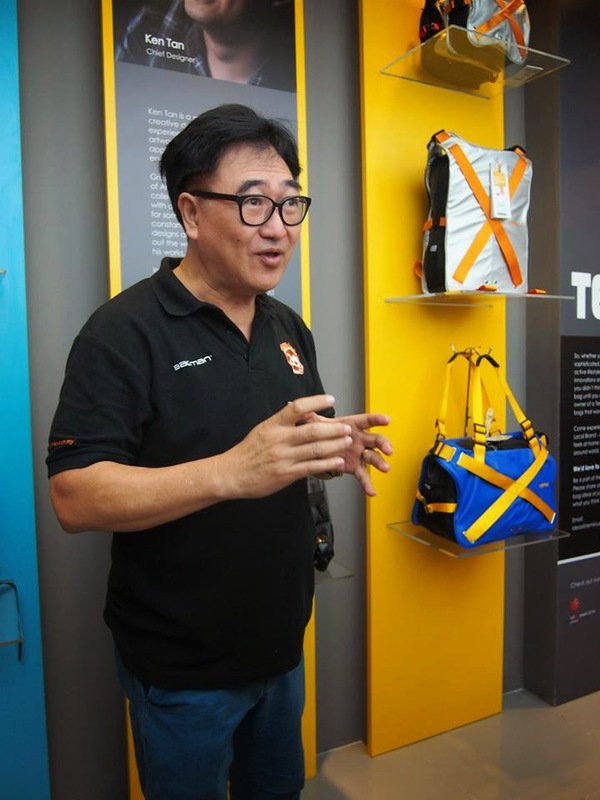 Newly opened in 1Utama's new wing, Terminus brings forward their award winning bags to everyone's liking so we could all have our wants and needs satisfied in a single bag. Showing us how the Terminus New Invisible Urban Roller works. 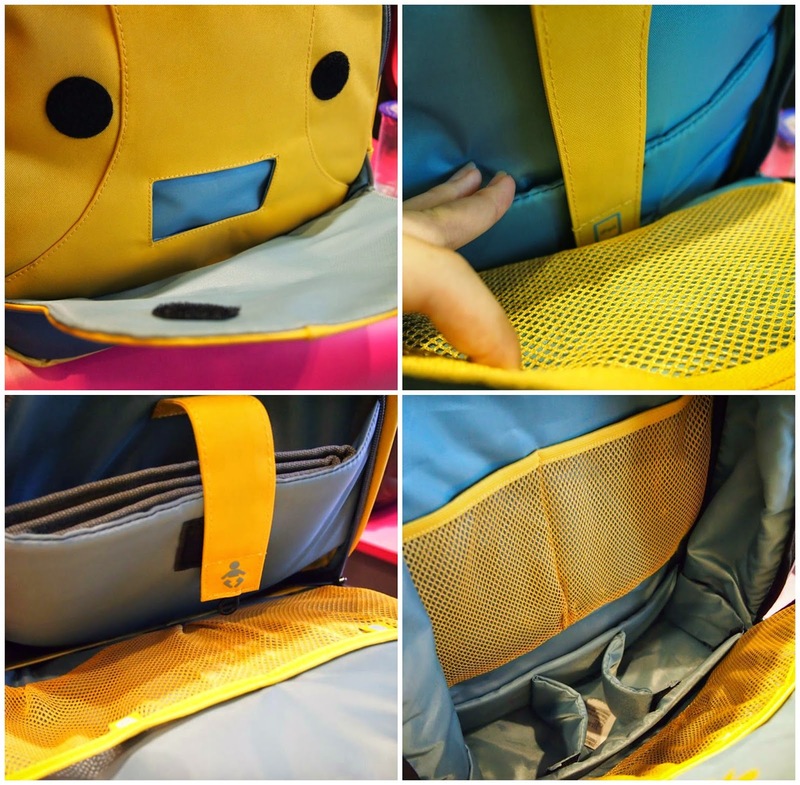 Doubling as a backpack with rollers that will retract when the handle is pushed in. Jetting away! It appears that Senri doesn't want me to leave, hence the running at the back. I always thought backpacks with rollers were great because you could carry them when the roads are a bit dirty for you to wheel your bag. Unfortunately it could get uncomfortable sometimes because the wheels tend to give you a "stabbing" feel as they are placed at the back. With the Terminus New Invisible Urban Roller however, the wheels are placed in FRONT of the bag so when you carry it as a backpack, you don't feel anything and can comfortable take your luggage everywhere! 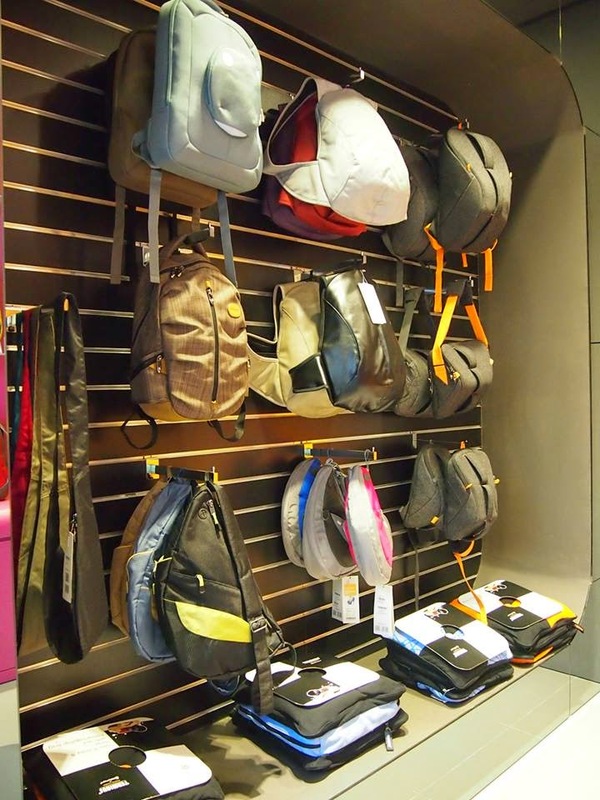 Compartments are also aplenty for you to store just about anything you could think of for a good trip. It's also cabin sized so you don't have to check it in or wait for your bag when you leave the plane! The Bright Tote bag that lights up when you open it. Runs on 2 double A batteries. Sorting your belongings easily with the Terminus Transformers 5-in-1 bag. Other innovative bags includes the Bright Tote that lights up when you unzip it to look for stuff. 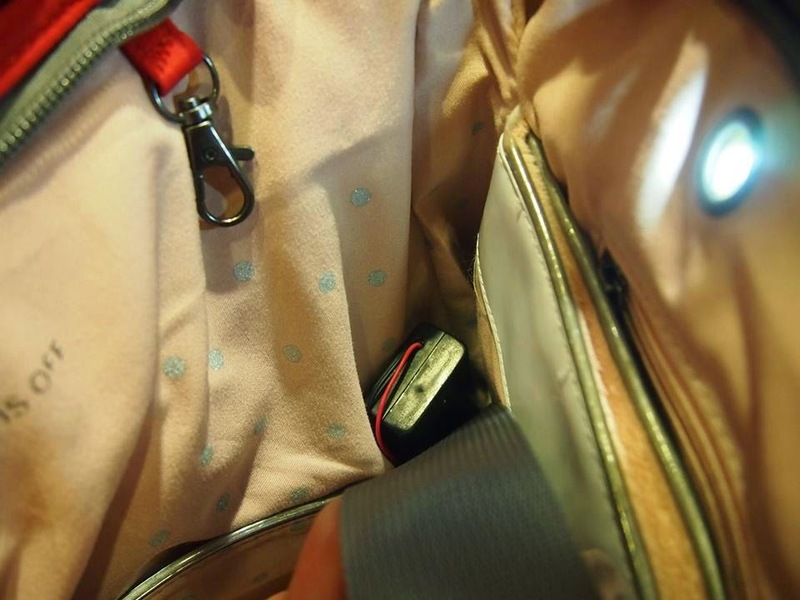 I think it's a great idea because sometimes it could get difficult to find for things in your bag when light conditions aren't too decent and the lights goes off by itself as you zip it up. 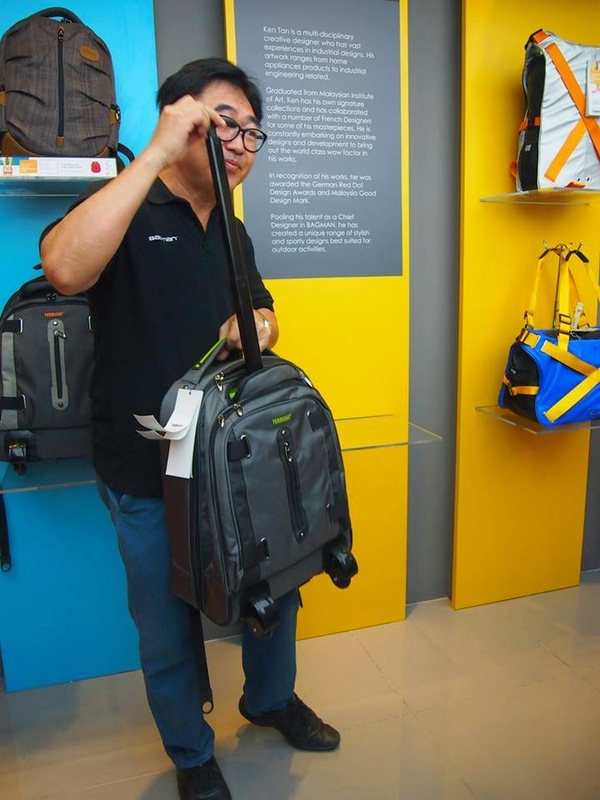 Aside to that, the Terminus Transformers 5-in-1 bag doubles as a cabin compliant luggage bag and can also be used as a laptop bag with its detachable feature. Carrying the Urban Dad; a bag for young parents and hip daddies! Compartments in the Urban Dad backpack. I actually fell in love with the Urban Dad backpack even if it's specifically for young parents because it's so big and spacious but at the same time very comfortable to carry. 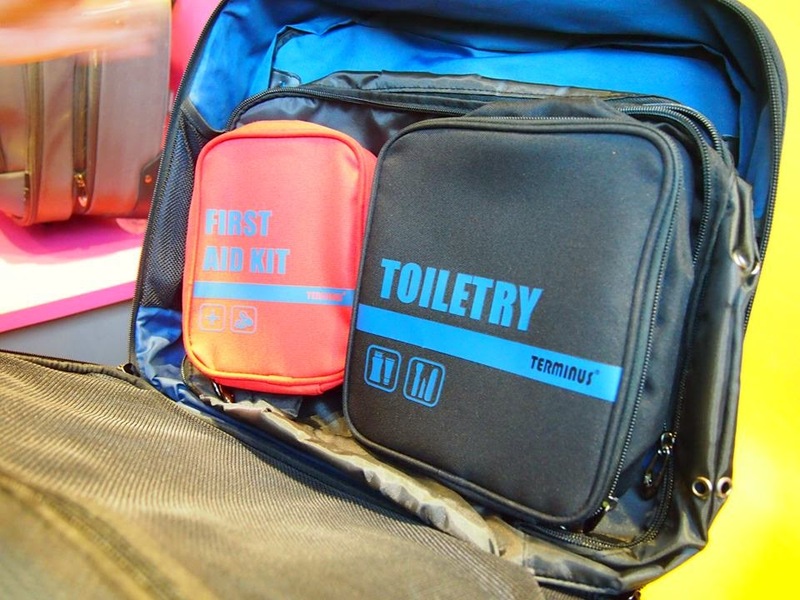 There are slots for wet wipes, iPad storage, baby clothes and milk bottle warmer section with aluminum coats and even a portable diaper changing pad; all in one bag! I have however considered to get it because I could use the main section for clothes, milk bottle warmer to put in hot drinks in bottles and the diaper changing pad as a mat to sit on in case I visit places that are a little dirty. This bag is a multitask-er, people! 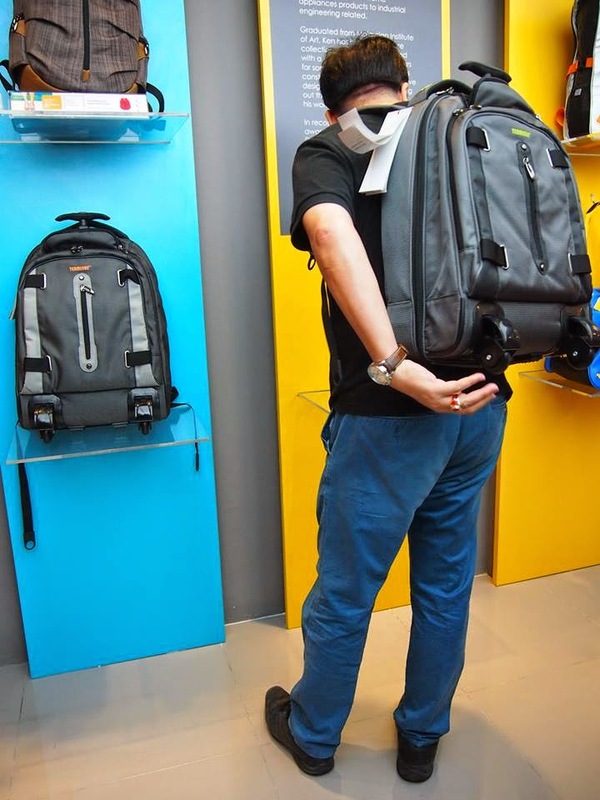 As a winner of the Red Dot award alongside various honourable mentions, selected Terminus bags comes with up to a one-year warranty and a return policy within 14 working days! 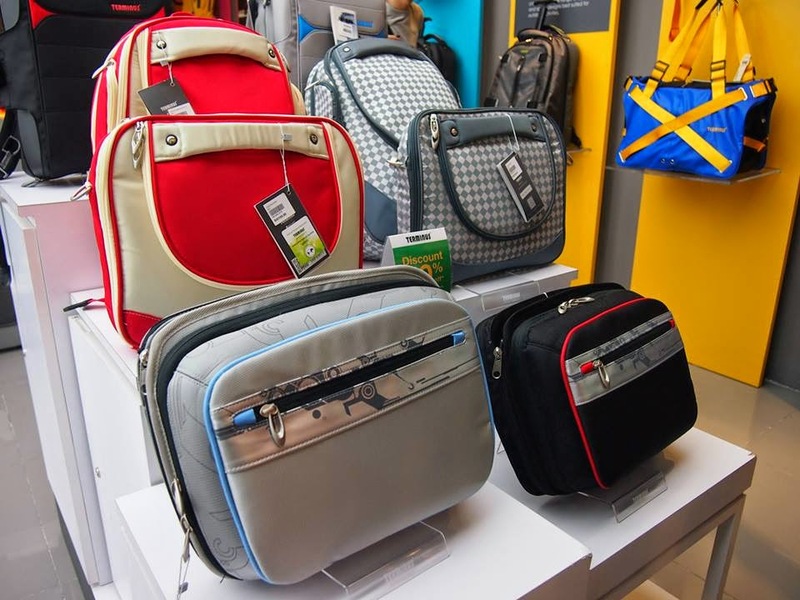 In fact, if you have a grand idea that you think would make a great bag for everyone, Terminus is always open to them and listens attentively in creating a masterpiece in your name. So really, people. What's stopping you from stepping into the future in bags with Terminus? Drop by their store in 1Utama in the New Wing (Opposite Sushi Q) and you can find all these out for yourself! How do I purchase a bag from US?